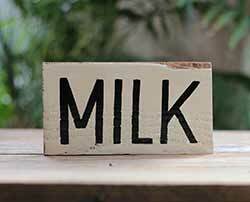 Get your green on with this hand lettered typography sign, handmade with reclaimed wood and freehand lettering. 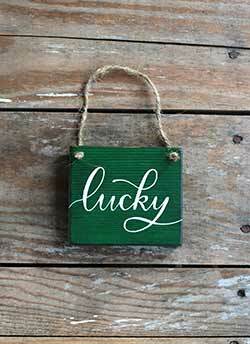 Completes any St. Patrick's Day vignette with a unique, rustic vintage look. 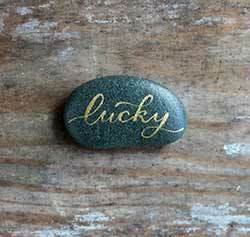 Reads "lucky" in gold calligraphy, perfect as a lucky charm, or St. Patrick's Day decor! 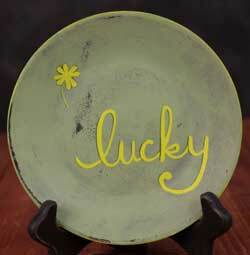 Lucky Mini Stick Shelf Sitter, hand painted in Mill Creek, WA by Our Backyard Studio. 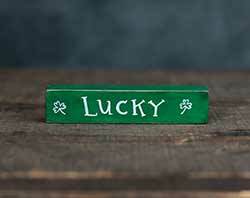 Add instant St. Patrick's Day charm to your desk, shelf, curio, or windowsill with this tiny hand lettered shelf sitter! 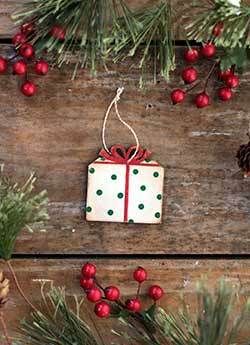 This mini-stick makes a great small gift, or just a touch of decor for the season. 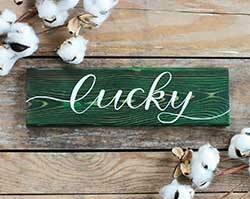 With it's shamrock green color and freehand lettering, this distressed wood Lucky sign ornament will add charm to your home and keep it pinch-free! 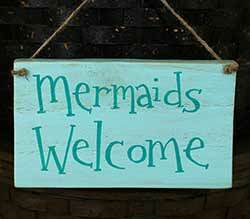 Perfect for St. Patrick's day decorating. 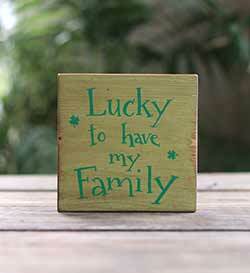 Add a festive St. Patrick's Day touch to your decor while making a meaningful statement with this rustic wood shelf sitter! Features layers of distressed color and hand lettered typography. Complete your St. Patrick's Day vignette with the unique, rustic vintage look of this little wood shelf sitter! Features layers of distressed color and hand lettered typography. 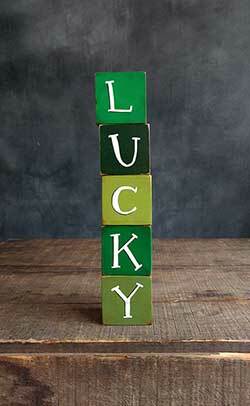 Lucky Wood Blocks Set - Perfect for your St. Patrick's Day decor, these "Lucky" wood blocks can be stacked vertically, or placed horizontally on a shelf, windowsill, or desk! 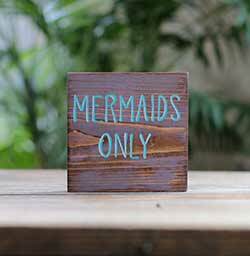 Multiple layers of painting, distressing, and antiquing, plus freehand lettering give our wood blocks a truly unique look, perfect for that colorful vintage, eclectic home decor style. 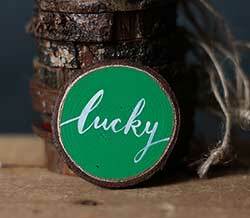 Reads "Lucky" in freehand-lettering script in white against a shamrock green background, with a thin metallic gold border. Bestseller!! This adorable Lumberjack figure has tons of detail - red flannel shirt, suspenders, beard, grey knit cap. 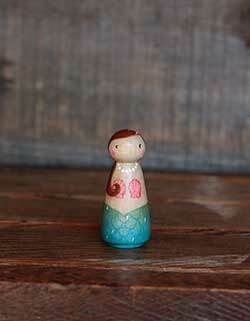 Our Mermaid Doll has shimmering scales in shades of blue and green, and tiny seashell bra. 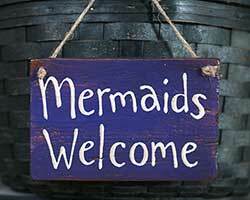 Her hair is reddish brown, and she has a pretty coral pink sea flower in her hair, and string of pearls at her neck. 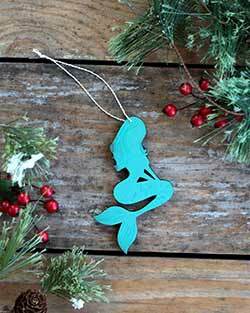 Perfect a mermaid lover or for a coastal tree, this Mermaid Christmas Ornament comes with free personalization on the back! 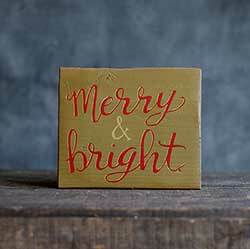 Add a little holiday cheer to your desk, window, mantel, or wall with this bright and fun shelf sitter sign! 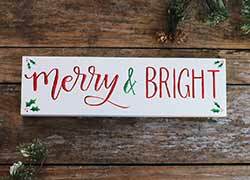 Unique with freehand painted artwork and hand lettering, this illustrated Merry & Bright sign will add holiday cheer to your home this year! 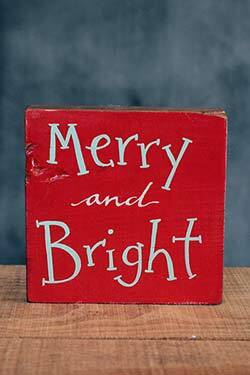 Perfect for a rustic holiday look, this Merry & Bright sign will add Christmas cheer to your home this season! 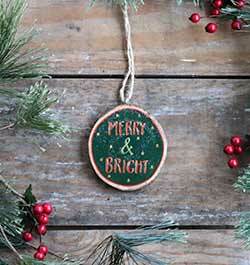 Merry & Bright Hand-painted Wood Slice Ornament, by Our Backyard Studio in Mill Creek, WA. 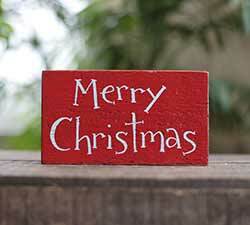 Features "Merry & Bright" hand lettered in red against a dark green background, with shiny gold stars and drop shadow. Merry Christmas Shelf Sitter, by Our Backyard Studio in Mill Creek, WA. Lettered free-hand in red with white drop-shadow, and lightly accented with glitter. Background is a pretty aqua blue with a white border stripe. This block is a shelf sitter (no hanger). Sealed with matte varnish. Measures approx 6 inches long, 2.5 inches high, and 3/4 inch thick. Made in the USA. Merry Christmas Shelf Sitter, by Our Backyard Studio in Mill Creek, WA. 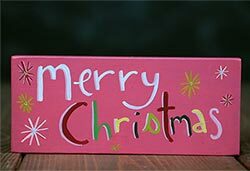 Lettered free-hand in retro-Christmas-style colors, with light pink drop-shadow, and lightly accented with glitter in the center of the starbursts. Background is a deep rose pink, and very lightly antiqued for a vintage look. 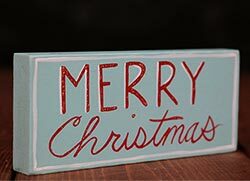 Unique with freehand painted artwork, this little Merry Christmas shelf sitter sign adds a gorgeous pop of red color to accent your holiday season! Beautiful in layers of rich red color and freehand lettering, this pretty shelf sitter sign will add rustic charm to your holiday decor this season! 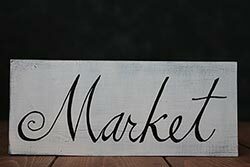 Simple and striking in black and white, this sign will blend seamlessly in to most any holiday decorating style, but is especially great for that farmhouse Christmas look. 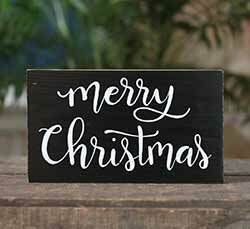 Add a rustic touch to your home this holiday season with this hand lettered wood Merry Christmas sign, perfect for that rustic country Christmas! 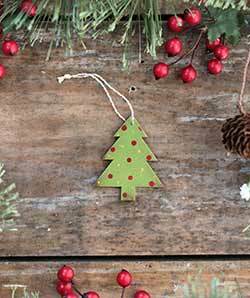 Our small, laser cut ornaments are hand painted, perfectly sized for small tabletop trees or advent calendars, and can be personalized! 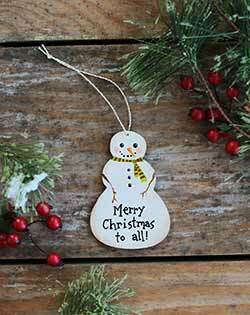 This is for our Merry Christmas to All snowman. 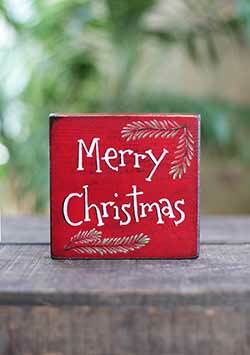 Perfect for a rustic holiday look, this Merry Christmas sign will add holiday cheer to your home this season! Features hand lettering and a classic Christmas palette of red and white. 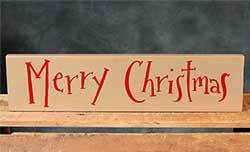 Spruce up your nest this holiday season with this Merry Christmas wood sign! 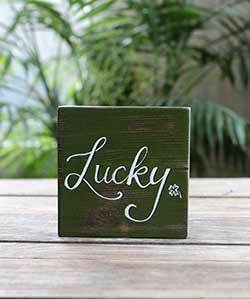 Features modern hand lettered calligraphy and rustic primitive color palette. 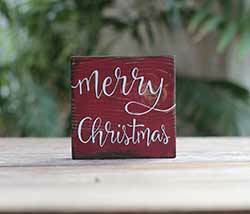 Perfect for a rustic holiday look, this Merry Christmas sign will add holiday cheer to your home this season! 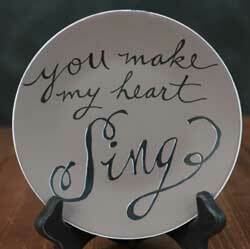 Features hand lettered calligraphy and a classic Christmas palette of red and white. Our mini ornaments are hand painted, perfectly sized for small tabletop trees or advent calendars, and can be personalized with a year! This is for our wrapped gift ornament. 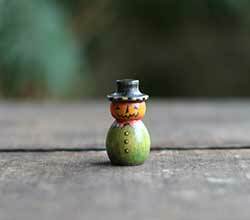 This mini gingerbread head is sure to add primitive cheer to your country Christmas! The small size is great for a tabletop tree. 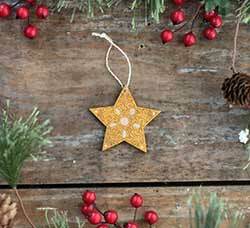 Personalize your holiday tree with this gold star ornament, accented with engraved details. 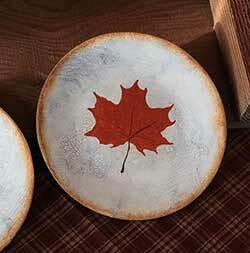 Great for a small tabletop tree, or for an advent calendar! Our Frankenstein's Monster is perfect for your Halloween decor, with his green skin and raggedy outfit!